It is more cost-effective (and optimal in the eyes of the FTC) if pre-marketing clinical trials are done to support the product's claims and other marketing statements as opposed to research initiated to support a claim after the offending company has received a regulatory hit or civil lawsuit. 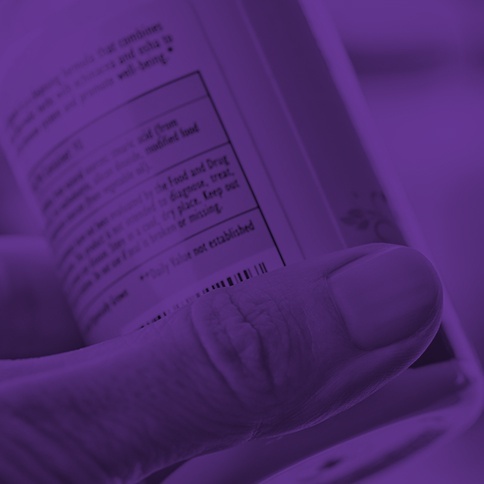 More detail can be found in the FTC's dietary supplement advertising guidelines. What Level of Scientific Evidence is Needed to Support Claims? There are various types of studies and study designs, and the type of study matters. Pilot trials, endorsements, testimonials, and "borrowed science" are simply not enough. These are certainly weak pillars to rest laurels upon. Disease claims (prevent, cure, or treat) still lead the “no-no’s” for advertising and marketing dietary supplements. Red flag categories where (more often than not) the marketing does not live up to the hype include weight loss, cognition/memory, and blood sugar control. This means if you operate or sell in these FTC red flag zones, your products will come under greater scrutiny. Greater scrutiny means you need to have a reasonable basis for making the claims that you do, as non-governmental and governmental agencies will be watching you – online, in brick-and-mortar stores, and on the radio airways. 4. that conform to acceptable designs and protocols and whose results, when considered in light of the body of relevant and reliable scientific evidence, are sufficient to substantiate the health claim. Yes, various court rulings since 2010 have indicated a single well-designed study might be sufficient for substantiation support. However, as recently as 2018, the FTC was still noting its preference for at least two randomized, double-blind, placebo-controlled clinical trials that are well-designed, powered sufficiently, and carried out in an ethically clean manner as being the minimal standard they are looking for to substantiate an ingredient or finished product. Essentially, anything other than the "gold standard" of clinical research—the randomized, double-blind, placebo-controlled clinical trial—will simply not be regarded as highly as other types of science. Of course, there are many shining examples of companies doing it the right way (including our clients) by investing in proper clinical research to support product marketing. How do they do it, and what is involved? The challenge for companies is to stay one step ahead of the regulations and competitors. Fortunately, this is both achievable and cost-effective when done correctly. 1. Conduct background research to learn and know as much as possible about each ingredient in your finished product. Review the science to make sure that the ingredients you are choosing have merit, both on their own and in combination. 2. When designing a product, consider examining the United States Patent and Trade Office for any patents your product may infringe upon, as well as if your product has potential to be patented. 3. Invest in clinical research during the "concept" stage of product development, before a product is marketed. 4. If unsure how your product may do in an objective study, and insecure about spending sizable amounts of money on research, first consider building with a "feasibility study", also known as a "proof-of-concept” study. Once the concept shows merit (statistically speaking), then you can move on to the more robust randomized, double-blind, placebo-controlled studies. 5. After the first study, consider submitting it to a peer-reviewed journal for publication. This helps as part of your substantiation portfolio. 6. Consider a second well-designed clinical study, as these are often less costly than anticipated. 7. Again, consider publishing the studies on your product in the peer-reviewed scientific literature. This type of transparency helps build confidence from both the healthcare professional sector and the general population (consumers). 8. Take a page from pharma and continue to do post-marketing studies on your product as a means of adding substantiation and creating a point of differentiation. 9. Gather an outside scientific advisory board to provide you with guidance, feedback, and a mechanism to stay compliant with not only the regulations, but the spirit of the law as well. 10. Remember that the cost of litigation as related to government or civil lawsuits for unsubstantiated claims (or for false and misleading advertising and marketing) is often many folds greater than what a study would have costed you. Why take such a risk? This post is meant to be brief and is a topical overview of substantiation, not a point-by-point, in-depth guide of how to remain compliant with laws and regulations and engender greater consumer confidence in your product and brand. Substantiation is often a major difference between you and a fly-by-night competitor. For a true assessment of your current marketing claims, and to see if you have adequate substantiation or a gap in the science, do not hesitate to contact us at Nutrasource. We will assist you with claims substantiation strategies, regulatory strategy and compliance, full-service clinical trials, and much more. Douglas Kalman, Ph.D., R.D., CCRC, FACN, is Vice President of Scientific Affairs at Nutrasource. 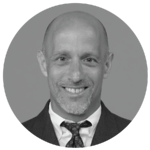 With over 25 years of experience in sports nutrition and clinical research, Dr. Kalman brings vast knowledge and unmatched expertise helping clients commercialize their innovations. He has been involved in over 100 clinical trials within the pharmaceutical, nutrition, and medical device industries and has published numerous papers in a variety of peer-reviewed journals, helping to advance the understanding of applied nutrition. Connect with Doug on LinkedIn.